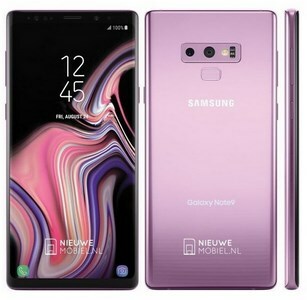 Galaxy Note9 shows up in renders in Lilac Purple. The Samsung Galaxy Note9 is going to be officially revealed on August 9, but it's hardly the best kept secret ever. Even so, new bits come out every now and then and the latest is a set of renders of the phone in the color scheme that Samsung calls Lilac Purple. 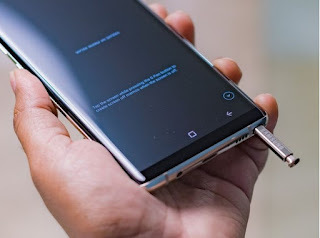 A Netherland-based production named Nieuwe Mobiel has quite recently released a full estimated picture of the assumed Galaxy Note 9 and it uncovers practically every side of the telephone separated from the best and base finishes. There just the same old thing new in essence as far as plan here, however the telephone looks dazzling regardless. The edges appear to be more trimmed out than it did on its antecedent and the unique finger impression scanner situation likewise is by all accounts right this time around. In terms of specifications, earlier leaks had suggested that the Galaxy Note 9 is expected to come with a 6.3-inch QHD+ resolution display, a Samsung Exynos 9810 or the Qualcomm Snapdragon 845 SoC, 6 GB/8 GB RAM and up to 256/512 GB of storage. The Note 9 might also pack a massive 4,000 mAh battery as well. As for the cameras, the Note 9 is expected to pack a setup similar to what we saw earlier this year on the Galaxy S9 and S9 Plus.